All applications must be submitted through YAP Tracker. Applicants do not have to be members of YAP Tracker to apply. * Bio and photo will appear in the competition program for the fourteen selected finalists. Applicants must indicate in which tier they would like to compete, and are strongly encouraged to select the tier that best represents their current status as a vocalist. However, if both tiers seem applicable, the applicant may choose both, but must pay an application fee for each one. All applicants must upload two video clips via YouTube to their YAP Tracker application. Video selections must be recent and no older than eighteen months. Selections that do not meet this criterion must first be approved for submission by JTVA. Each selection must be sung from memory and accompanied by a pianist. Please include the name of the pianist. The two videos must be uploaded separately, and the two in total must not be longer than 15 minutes. Do not send videos of entire operas or concerts. Vocal selections may be clips chosen from lyric theater (opera, operetta, musical theater), oratorio, symphonic vocal material, art songs, or traditional jazz and cabaret standards. The competition awards prizes to two groups of singers. Rather than specific age or educational requirements, these groups are distinguished primarily by level of ability, vocal experience, and readiness to begin a professional career. In some cases, singers may qualify and apply for both groups. All finalists receive a cash award. Tier I is for singers ready to embark on a professional career. This includes those who have recently completed undergraduate or graduate study in voice; however, this is not a requirement. Tier I is open to anyone who has studied voice extensively and developed substantial skill in vocal performance. Prospective competitors who are looking to make a "later in life" career change to the performing arts are also welcome to apply. Tier II is for those studying singing at or near the college level. Singers who are engaged in serious study (private or collegiate) of the fundamentals of vocal performance should apply at this level. Competitors might be undergraduates or graduates studying music, vocal performance, or musical theater. Non-collegiate singers who have achieved comparable vocal development through private study are eligible. 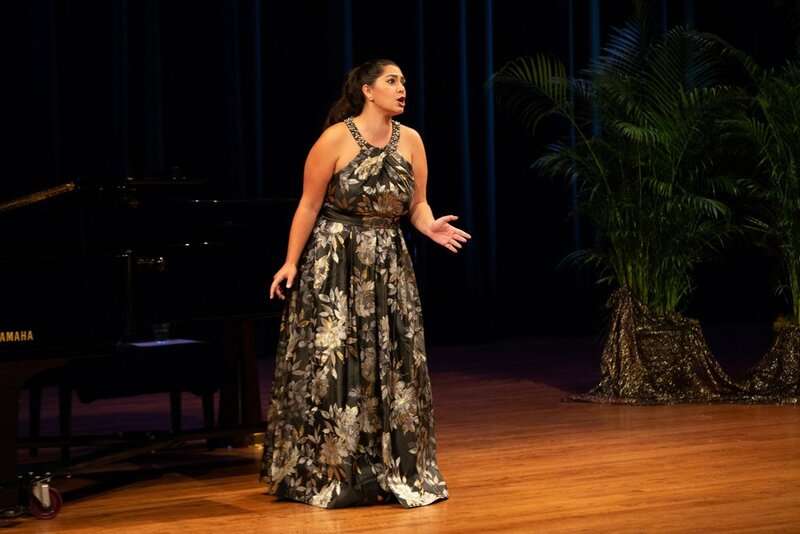 It was an unforgettable experience of my singing life and a total honor to be in this competition. Living as a singer is not easy. We have to compete with others every time and be prepared to be perfect, so I was a little bit tired about the singer’s life. However, through this competition, the love from the audiences and people involved gave me a turning point in my thinking.